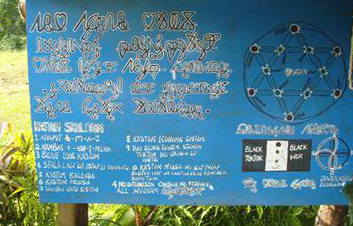 Many scripts have been created by individuals, and many of these have been created specifically as an alternative to Western or colonial alphabets, but few have been created as recently, or in such a spirit of resolute independence, as the Avoiuli script of the northern part of Pentecost Island. Plus it has its own bank. 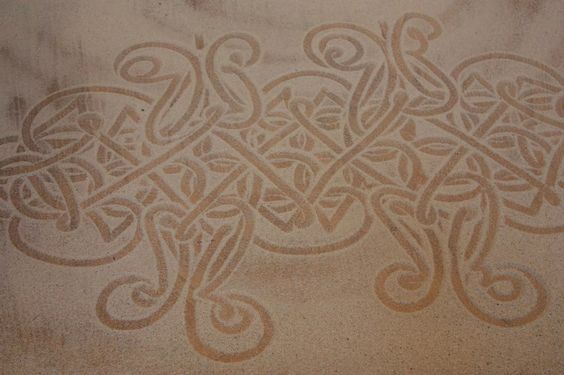 Drawing inspiration from traditional sand drawings, Chief Viraleo Boborenvanua of the Turaga indigenous movement spent fourteen years developing the script for the Raga language (the word “avoiuli” comes from the Raga words avoi, or “talk about” and uli, “draw” or “paint”) as part of the movement’s aim to reduce the island’s dependence on and therefore vulnerability to outside influences. The script is also remarkable in its resolutely cursive nature: like the culture’s sand drawings, letters are designed so words can be executed in a single stroke — and as such it opposes the current digital trend of dividing words into individual key-strokes. The way the script is taught and learned is also a unique example of one way in which an indigenous culture tries to resist the forces of globalization, recognizing that a culture’s language has value, both intangible and tangible. 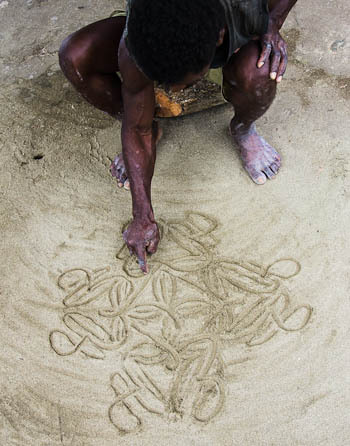 Anyone wanting to learn the script has to do so — and must pay to do so in pigs’ tusks and mats — at Turaga’s “school of custom” at Lavatmanggemu in north-eastern Pentecost. 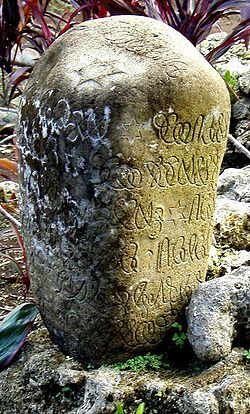 In Lavatmanggemu, Avoiuli is used rather than the Latin alphabet (which is the standard on most of Pentecost), and can be seen on posters, schoolwork, financial records, carved stones and even graffiti. As if these qualities aren’t unusual enough, Avoiuli letters are so close to being symmetrical that the script can be written from left to right or right to left, and from top to bottom or bottom to top. 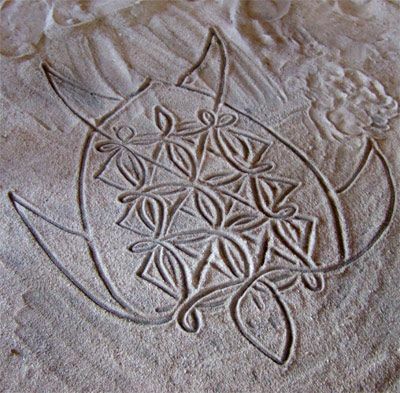 The script is also used for record-keeping by the Tangbunia Bank, which operates in a similarly indigenous and autonomous spirit: instead of dealing in Western currency it uses local items of value such as hand-woven mats, shells, and pig tusks. Its very name comes from the word for large baskets traditionally used for storing items of value.